Franny K. Stein didn’t think the time would ever come when someone would realize what the K in her name stood for. And she REALLY didn’t think that same someone would say her middle name in front of the whole school! But that’s what happened at the Science Fair award ceremony, and all the kids and teachers burst out laughing. 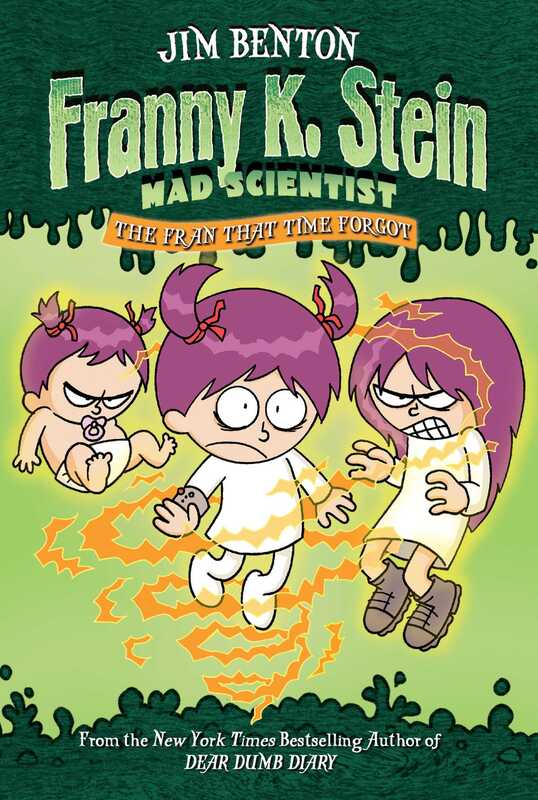 So Franny does what any respectable mad scientist would do—she goes back in time to change her name. However, things don’t turn out quite as she calculated, and Franny ends up having to face her teenage self in a warped, fourth-dimensional, kid-versus-teen, good-versus-evil, Franny-versus-Franny battle of the minds!